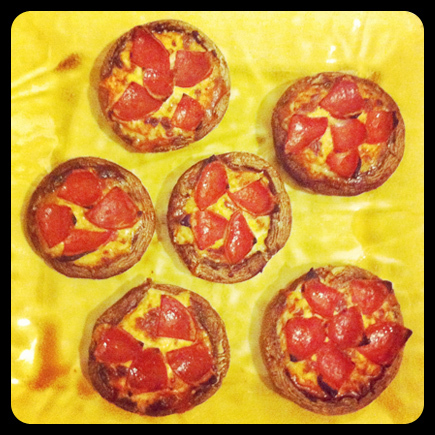 mayanrocks » Portobello Pizza Bites. You made them! They look delicious!!! lol! thanks for waiting for me in the cheese aisle while i talked myself into buying the standard sized turkey pepperoni over those cute little pepperoni minis. i tried to make them cuter by slicing them into fourths, but everyone knows circles are cuter than triangles!